One of the good and bad things about a move is that it rips away your normal routines of daily life and forces you to figure out new ones. This is bad because until you lose them you don't realize how comforting routines are. Until you develop new routines, you feel unsettled and walk around with a vague sense of disequalibrium and also generally take way too long to do simple tasks. This is good because some of your routines aren't really helpful but you keep doing it that way because that is just the way you do it. And figuring out those new routines is a process of trial and error to see what works and what doesn't in your new home and location. I always say it is a major accomplishment in each move when I finally settle into the routine for laundry that works in our new location. In this house, I think I have now nailed my favorite laundry routine of all time. For the record it is as follows. Small hamper in kid's bath and master bedroom. Emptied almost every day into three large hampers (darks, mediums, whites) next to washer and dryer. When one of these hampers is full, throw load in wash. Put clean clothes in basket, hanging up items that need it on rod dangling from ceiling (thanks, Professor, brilliant idea). Place basket on table next to dryer. When tower of baskets on table threatens to tople or someone runs out of underwear grab Oldest Girl to help fold clothes and put away. Oldest Girl is necessary because she is the only member of the family who can tell her clothes apart from Music Girl's. Music Girl will wear anything placed in her laundry basket as long as it is comfortable. Seasonal appropriateness and/or fashion and/or presence of holes in unfortunate locations will not faze her. Imagination Boy will wear anything as long as it is black, jeans, an acceptable t-shirt (dark and plain or with some kind of geeky saying), or a black hoodie (since he wears a hoodie year round everywhere he goes I don't know why he cares so much about the t-shirts but he does). When we lived in Japan and Hirokosan came to clean the house each week including doing the laundry, she had a tendency to assume any black clothes that weren't obviously man sized were Imagination Boy's. He came out of his room one morning complaining that these pants are a little big. He was wearing my pants. Whenever the girls couldn't find an item of clothing that was black they learned to look in Imagination Boy's room. Since she also unloaded the dishwasher, Hirokosan's visits also led to the fun family game of "If you were Hirokosan, where do you think you would put the potato peeler (or whatever)?" But I digress, back to laundry. 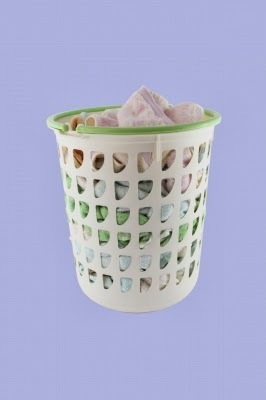 A basket of clean folded laundry is deposited in each person's room. They all deal with it in their own way. Oldest Girl has a detailed and complicated system for where each type (with subcategories) belongs and she puts them there. Music Girl has a dresser and a closet with a system for where each type of clothing belongs. However this system was developed by Oldest Girl and is rarely used. Instead she just pulls her favorites out of the laundry basket until I tell her to put her clothes away because I'm running out of empty laundry baskets in which to pile clean laundry at which point she dumps the clean clothes on the floor and gives me an empty laundry basket. About once a month or so Oldest heaves a big sigh and goes in to Music's room and puts things away where they "belong". Music Girl is leaving on a school trip tomorrow so I hope Oldest Girl doesn't have much homework tonight as she will definately need to help pack. Imagination Boy has the simplest system. He takes his laundry basket and dumps the entire contents into the large plastic tub in his closet. Done. The Professor has a detailed and complicated system like Oldest Girl's but since he isn't interested in actually putting his clothes away himself he makes do with the somewhat more simplified system I'm willing to adhere to. And I put my clothes away in a system that works for me more or less. I find myself getting rid of clothes if they don't fit my system. Since Oldest Girl is currently taking both Sociology and Psychology I figure she could do a term paper about our laundry habits and what it says about us. Music Girl has been known to do the same thing, failing to unfold and all.